Matthew Bartendale [or Bartindale, it appears he used both] Slater is best known as a Bryologist, though he seems to have been a thorough botanist as well, often leading botanical excursions for the Malton Field Naturalist and Scientific Society, of which he was a founder member in 1880. As a nurseryman and seedsman he was often selected to judge at horticultural and floral shows all around North Yorkshire. His major contribution was his Account of the Mosses and Hepatics of the North Riding of Yorkshire in J. G. Baker's North Yorkshire. Another significant contribution was as the executor of Richard Spruce's Will. As the sole executor, Slater made available to Alfred Russell Wallace all of Spruce's notes and journals from his 15 years in the Amazon allowing Wallace to publish them. His herbarium was housed with the Malton Field Naturalists' Society until it's demise. In 1969 it was donated to Woodend Museum in Scarborough by Laverack and Sons, chemists, Malton, and is now held by Scarborough Museums Trust. Portrait (left) from the Naturalist 560 Sept 1903 plate XI facing page 368. 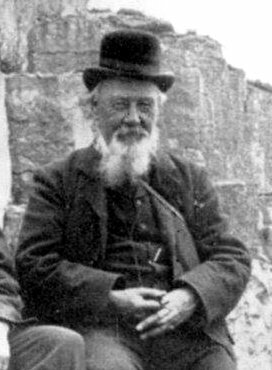 1829 : Birth Birth of Matthew Bartendale Slater, son of John Slater and Elizabeth, née Bartindale, at Malton, North Riding of Yorkshire. "MARRIAGES:- Slater- Waller.- On the 9th inst., at- St. Michael's Church, Malton, by the Rev. G. A. Firth, Mr. Matthew B. Slater, Malton, to Jemima, the youngest daughter of Mr. Richard Waller, farmer, Welburn. " 1889 : FLS Elected a Fellow of the Linnean Society. "Deaths:- Mr. Matthew Slater,of Newbiggin, Malton, died yesterday at the age of 88 years. He was in business as a florist at Malton, and in earlier days was identified with public life in the town, having been for 20 years Chairman of the Malton District Council. A Fellow of the Geological Society, he took keen interest the Malton Naturalist Society, of which he was for many years secretary, while he was an authority on mosses and hepatica in the Malton district." Obituary by Tom Sheppard from the Naturalist March 1918. Details of the herbarium on the FENSCORE database.